Absolute Prosperity Forskolin is sold as a dietary supplement for weight loss and boasts an extremely potent dose of 350mg of Forskolin. This product uses the active ingredient Forskolin, which has been clinically proven to produce observable body changes in a group of overweight men. During the course of the 12-week study, a significant decrease in body fat was noted and to some extent, lean body mass also increased. With so many Forskolin supplements on the market today, it’s important to know the difference between the good ones and the bad. A quick look at its product label can unearth lots of useful information. Let’s see what Absolute Prosperity is really made of. Looking at Absolute Prosperity Forskolin’s ingredients, the claimed 350mg of Forskolin is actually composed of two components: 250mg of Coleus forskohlii extract standardized to 10%, and 100mg of Coleus forskohlii root powder. 250mg of Coleus forskohlii root extract standardized to 10% means it really contains 25mg of actual Forskolin. There is no way to tell how much Forskolin the 100mg of root powder actually contains, since it is an unconcentrated form of plant residue. Another important thing to note is that Absolute Prosperity Forskolin contains quite a number of additives such as gelatin, silicon dioxide, and magnesium stearate which probably serve as binders and fillers with no actual health benefits. Absolute Prosperity recommends taking one capsule up to twice a day along with your meals. The manufacturer also suggests using its Forskolin supplement along with a good diet and adequate exercise. Forskolin has no known side effects. Absolute Prosperity doesn’t list any harmful side effects as a result of taking its Forskolin supplement. However, like other dietary supplements the manufacturer suggests that pregnant women, nursing mothers, minors under 18 years of age and people diagnosed with medical conditions check with their doctor first before taking its product. Absolute Prosperity Forskolin’s product label also says that the supplement is made in facilities that may have also been used to process other products containing milk, soy, wheat, egg, peanuts, tree nuts, fish and shellfish. So if you have any allergies that can be triggered by any of these things, this may not be the best product for you. Absolute Prosperity’s ordering system redirects to an Amazon listing for the product. At the time of writing this review, it is listed as Currently Unavailable. Its description does say that the product has been offered on sale for as low as $15.97. A bottle of 60 capsules should last up to one month if you follow the maximum recommended dose of two capsules a day. The Absolute Prosperity Forskolin website does not offer a money back guarantee. In case you need to return the product, your only option is the retailers’ return policy. 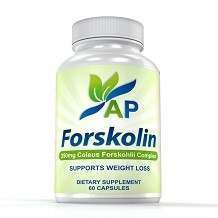 Absolute Prosperity Forskolin really contains quite a large amount of Forskolin at 350mg per capsule. 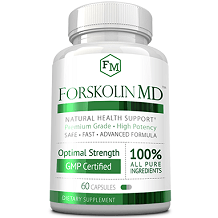 However, based on its list of ingredients, only 25mg of Forskolin can actually be chemically verified, which is actually on the low end compared to other Forskolin supplements in the market right now. The extra 100mg of Forskolin comes from Forskolin powder which largely consists of plant material rather than the active ingredients necessary for burning fat. This supplement also uses quite a lot of additives in its capsules. Its lack of a money back guarantee also doesn’t do it any favors, considering that lots of other health supplement manufacturers are able to offer a generous return policy. Despite its low price, this product does not deliver any bang for your buck. If you add just a few more dollars to its sale price, you can choose from lots of other Forskolin supplements that offer a more potent dose and ones that don’t contain any unnecessary fillers in its ingredients.